Sloane Stephens (born March 20, 1993) is an American professional tennis player. She is currently ranked at a career-best No. 4 in the world by Women's Tennis Association (WTA). Stephens is the reigning US Open champion. Born to athletic parents with backgrounds in collegiate swimming and professional American football, Stephens was first introduced to tennis at the club across the street from her house in Fresno, California. Her stepfather was a competitive recreational tennis player and served as her primary inspiration for beginning to play the sport. Stephens moved to Florida to train at a few different tennis academies, ultimately working with Nick Saviano for many years. She developed into a promising junior player, reaching a career-high ITF junior ranking of world No. 5 and winning three out of four Grand Slam girls' doubles titles in 2010 alongside her partner Tímea Babos. While still just 19 years old, Stephens rose to prominence on the WTA Tour at the 2013 Australian Open with a semifinal run highlighted by an upset of then world No. 3 Serena Williams. Although she climbed to as high as No. 11 towards the end of that year, she later regressed and stayed steadily ranked outside the top 25 through the end of 2015. Stephens once again appeared to begin realizing her potential in 2016 when she won three WTA titles in the first half of the season. Her successful year was then cut short by a foot injury that kept her sidelined for eleven months. 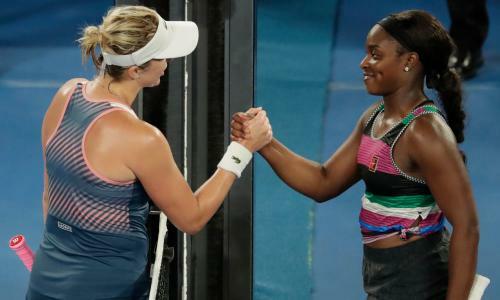 Stephens triumphantly returned from her injury in the middle of 2017 and reached consecutive Premier 5 semifinals before winning her first career major championship at the US Open. She became the first American to win a Grand Slam title in women's singles apart from the Williams sisters since Jennifer Capriati in 2002. She was also awarded WTA Comeback Player of the Year for her successful comeback season. In 2018, Stephens also won her first Premier Mandatory title at her hometown tournament, the Miami Open, and reached a second Grand Slam final at the French Open. Beautiful Queen be Blessed and enjoy your Weekend! Two Tennis Hearts As One! So excited to see you both in San Antonio this weekend! I’m bringing my 4 year old daughter who is sooo very excited to watch y’all play! Lol. Funny. Beautiful pic. Who will get that 1 spot first? Milk does the body good!!! I'll have to get some chocolate milk...it looks good on you. Nike Vapor Max are the best workout shoe!!! Beautiful picture beautiful woman I love you sloane!!! I hope you win in Paris! Every girl deserves a little time off! You look very nice Sloane! Have a great weekend! Sloane Stephens is with Sloane Stephens. Beautiful Queen Stay Blessed and highly favour!! Hello beautiful when will you play again? Finally covered up! Love you like a sister. Sloane another Grand Slam is coming this year. #Sloane good outing, tomorrow's always another day. Training mind, body and determination. Taff Semis - Never Mind,Maybe Next Time! One gains more understanding from a loss than a win. 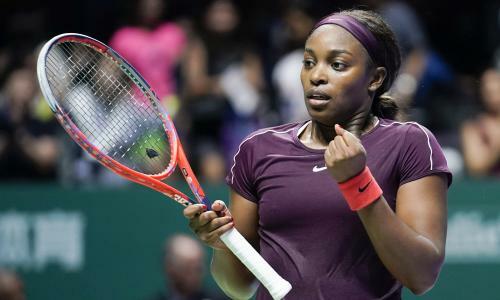 WTA Finals: Sloane Stephens v Elina Svitolina in final – live! 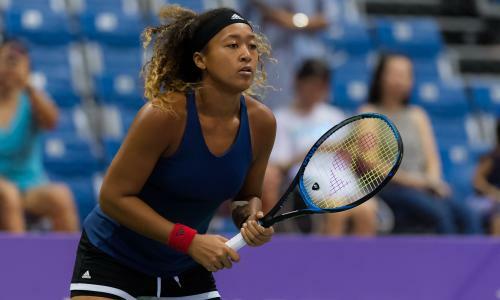 Naomi Osaka v Sloane Stephens: WTA Finals – live!